As shown in this picture, it is generally always best to plan your printed product to suit the application and intended purpose. 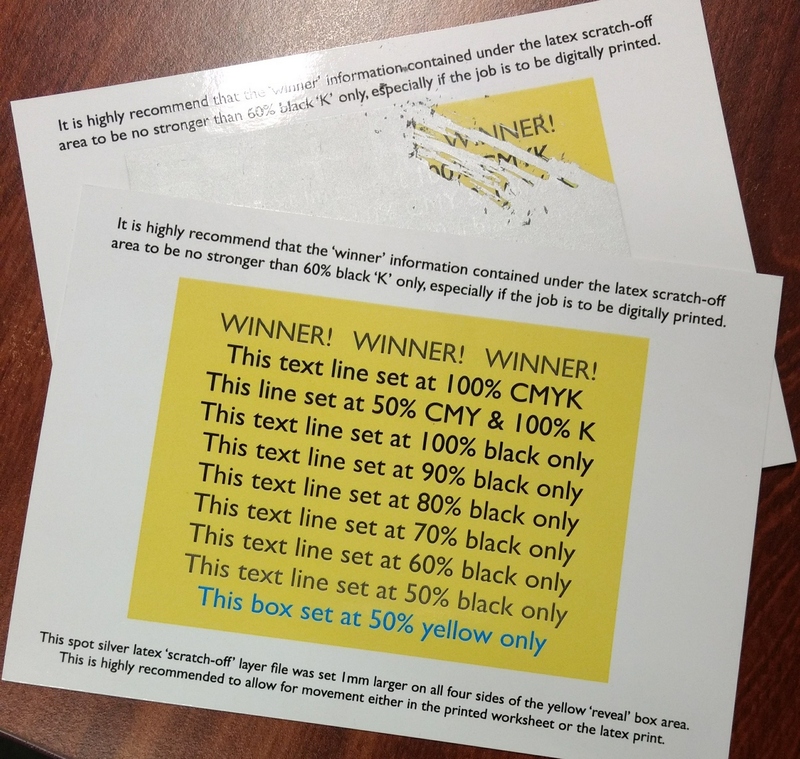 We recommend any information contained under the latex scratch area to be no stronger than 60% black only from your CMYK file. A 50% yellow-only fill box also helps maintain integrity of the product especially where cash prizes and multiple outcomes are involved. We have done many campaigns where high security is required – especially if used for online subscription code verification and activation. Scratch and win cards are a great interactive marketing tool which gets potential customers involved with your brand. Easily create incentives, bonuses, prizes, repeat business and online activation codes for subscriptions and other uses with this very versatile product.